He may not have invented the shave-and-a-haircut rhythm synonymous with his name. 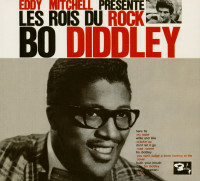 But Bo Diddley and his beat were a primary factor in the development of rock 'n' roll. Bo’s seminal recordings for Chicago’s Checker Records came rooted in blues and slathered in savage tremolo-enriched guitar, reverberating with a tribal thunder harking back to African tradition. "I had no influences when I first started," claimed the late Diddley. "I didn’t have nobody to copy after, because I couldn’t play blues, and I could not play like Muddy Waters. I wanted to, but I just couldn’t. I was cut out to be what I am." He was born Ellas Bates on December 30, 1928 in McComb, Mississippi. "Chicago is like home to me," he said. "I don’t know too much about Mississippi." Young Ellas was reared by his mother’s first cousin Gussie McDaniel, accounting for his commonly cited surname. In 1934, they headed for Chicago’s South Side. When he was 12, his sister bought him a guitar for Christmas, and his future was assured. Ellas formed his first band, the Hipsters, in 1946. "I used to play on the street corners," he said. "We had a washtub and a guitar, and I was the dude with the guitar. I had a fellow named Roosevelt Jackson that played the washtub." They soon added guitarist Jody Williams. "We all kind of grew up together," said Bo. "I was a little bit older than all the rest of ‘em." Harpist Billy Boy Arnold joined the group in 1951. "I met Bo Diddley when I was 15 years old," says Arnold. "We were playing together on the street corners." Maracas shaker Jerome Green came in along the way. In early 1955, the guitarist worked up two songs to serve as a demo. "Bo had a home recorder, and we made a little dub," says Arnold. "We wound up at Chess, and Chess was where it happened." "I just walked in there one day, man, and just asked ‘em if they was makin’ records," said Bo. "They told me, ‘Yeah, what did I want?’ I said I wanted to make a record. So they made one on me." Phil Chess was so impressed that he asked Bo back the next day to audition for brother Leonard. "He had this particular style of his own," said the late Willie Dixon. "A new style was a great thing. We was often wondering whether it would go over or not. But he had that thing ‘I’m A Man.’"
"About three or four days later," says Arnold, "we were in Universal Studios recording the smash hit ‘Bo Diddley’ and ‘I’m A Man.’" That was on March 2, 1955. Bo, Billy Boy, and Jerome were joined by drummer Clifton James and bassist Dixon. 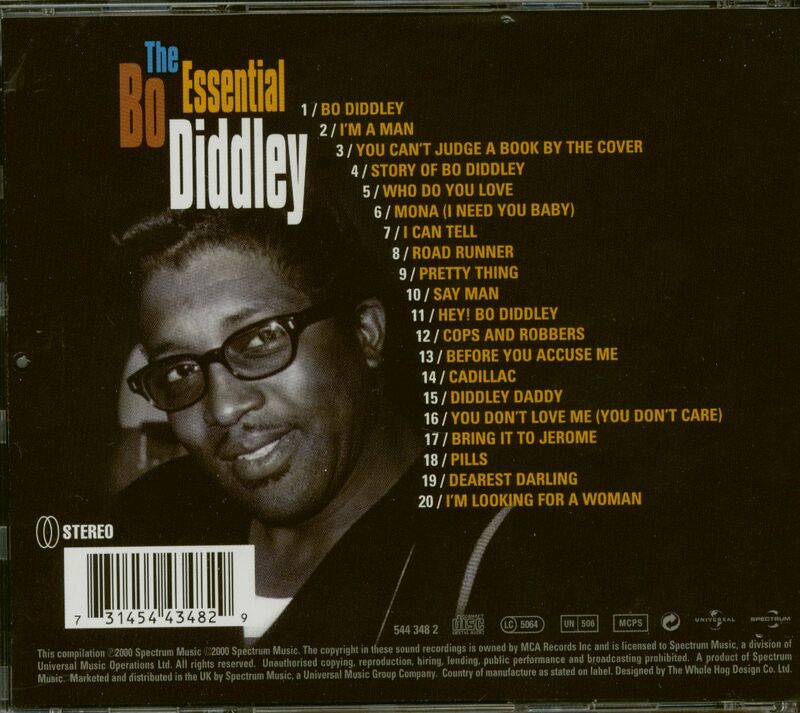 Bo had reworked his ribald Uncle John into Bo Diddley, which would prove an R&B chart-topper. 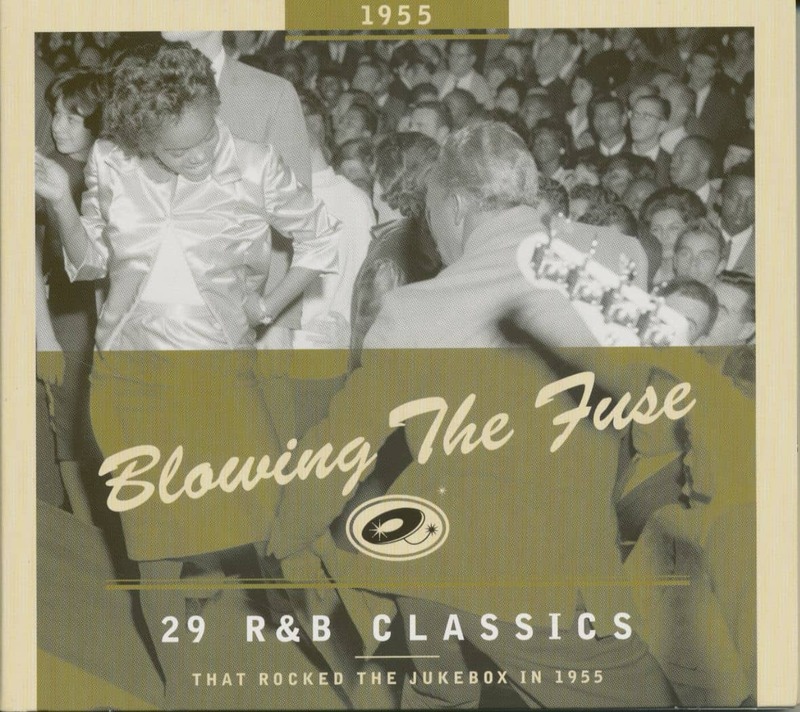 The swaggering blues flip I’m A Man was a hit in its own right. "Muddy was the basic foundation for that song," Bo admitted. "It was actually saying something back, you dig?" "We thought the record was going to come out as Ellas McDaniel & the Hipsters, ‘cause that was our name," says Arnold. "When the record came out two weeks later, I was surprised. 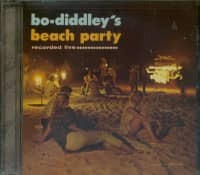 It was ‘Bo Diddley’ by Bo Diddley." It’s a safe bet that Bo’s dangerous Africanized beat would have never passed muster with a major label, at least in the pure, raw form it appears in here; it took visionaries like the Chess brothers to recognize his genius. Muddy took immediate notice, cooking up Manish Boy and enjoying his own Chess hit. 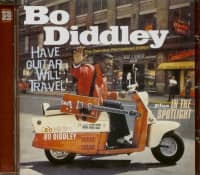 "Bo Diddley, he was tracking me down with my beat when he made ‘I’m A Man.’ That’s from ‘Hoochie Coochie Man.’ Then I got on it with ‘Manish Boy’ and just drove him out of my way," said Muddy. With Eric Clapton on guitar, The Yardbirds cut a driving ‘64 version. 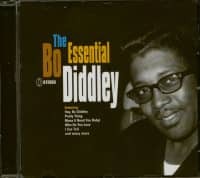 Though Billy Boy claims Diddley’s stage moniker stemmed from a comic they saw at the Indiana Theater, Bo explained its murky origins this way: "Ellas McDaniel is not commercial. 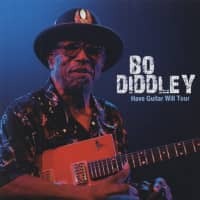 But somebody named Bo Diddley—everybody says, ‘What? Who in the heck would be named that?’ But the kids named me that when I was going to grammar school here. Don’t ask me what it means, ‘cause I don’t know!" Customer evaluation for "Essential (CD)"